We have just ONE more regular Sunday here at Advent, and then . 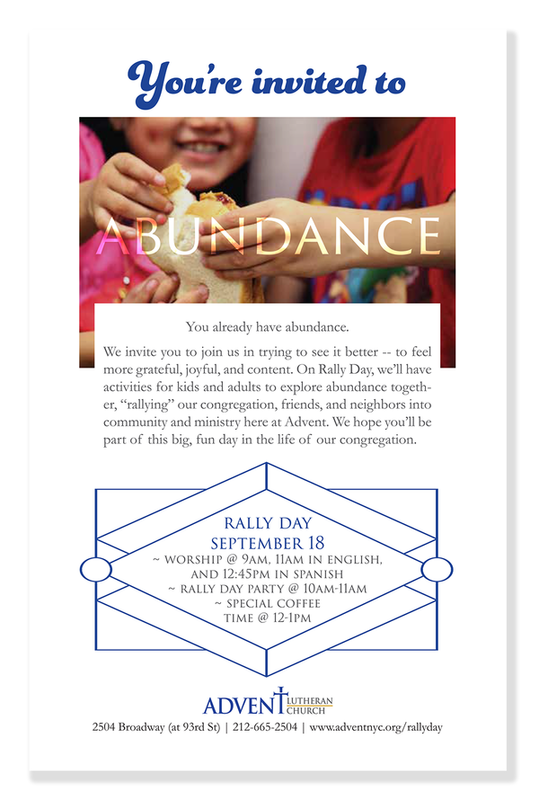 . . Rally Day on Sunday, September 18! This Sunday we're gearing up with our Sunday School teacher training from 10-11am and our first Youth Night for high school and confirmed teens from 6-8pm. Count all the things in your home that could be reused, repurpose or recycled. Here are some optional follow-up questions to talk about as a family: How does the ability for so many things (like, say . . . water!) to be reused relate the presence of abundance? 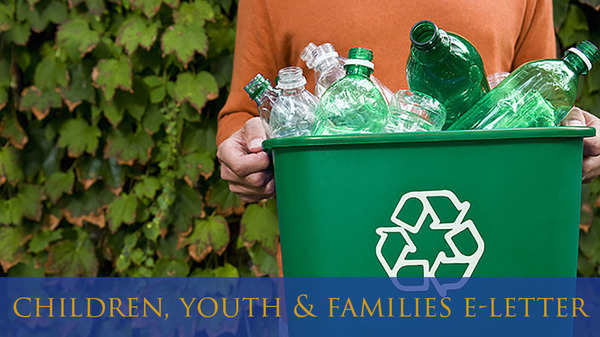 Many things that could be recycled and reused aren't -- what is our responsibility in fully realizing the abundance God has provided? We invite you and your family to get reconnected with our Advent community on Rally Day! Worship with us at 9am or 11am and join the celebration from 10-11am to kick off a new program year of community and ministry here at Advent!